Honda back in the horsepower chase with 2019’s RC213V? To all intents and purposes, and from most angles, the 2019 Honda RC213V looks exactly the same as the 2018 Honda RC213V. If you look closely at the front, however, the air intake is slightly different. Instead of splitting in two, the aperture is undivided giving rise to an idea that Honda is now directly chasing Ducati’s horsepower by shoving as much air into the engine as it possibly can. In previous incarnations, air has been channeled into the airbox by ducting on the left and right side of the headstock, which works well but is a little fussy, while HRC calmed down the engine to make it more useable and to help the bike turn. Now, it would seem, the intake feeds directly into the front of the airbox which will shovel in as much air as it can in the shortest possible time. More air means more horsepower, in very simple terms. 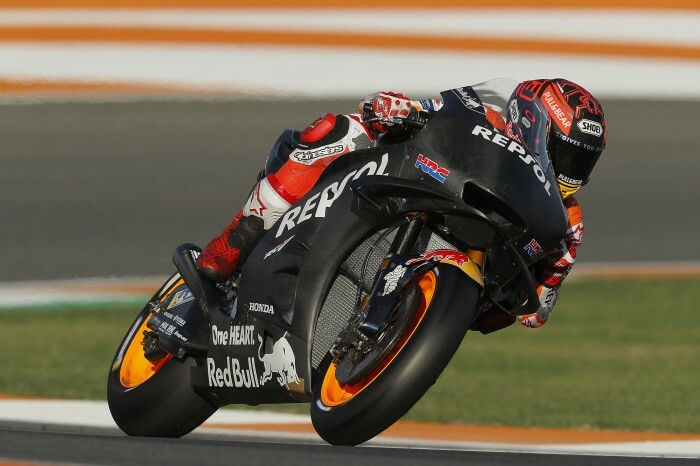 But that means some chassis changes will have been necessary and new differences will have to be ironed out in setup, so Marc Marquez will need a lot of laps under his belt.